The giant panda is one of the rarest species on our planet. A shy, elusive and gentle creature, they once ranged in great numbers between Beijing and the Himalayas. But now, after centuries of human expansion and destruction of their habitat, the giant pandas are on the brink of extinction, with fewer than 1,600 remaining. 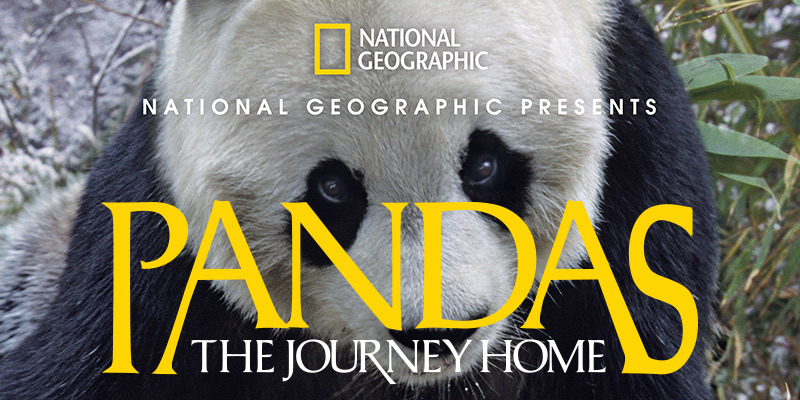 Pandas: The Journey Home, a groundbreaking natural-history film, captures for the first time in 3D on the world’s largest screens the highly endangered giant pandas living in Wolong National Nature Reserve in the People’s Republic of China. This film experience gives audiences a unique glimpse into one of the most incredible conservation efforts in human history. The scientists’ goal: to increase the numbers in captivity and, far more ambitiously, to return pandas to the wild —to their natural home. Running time: 40 minutes.